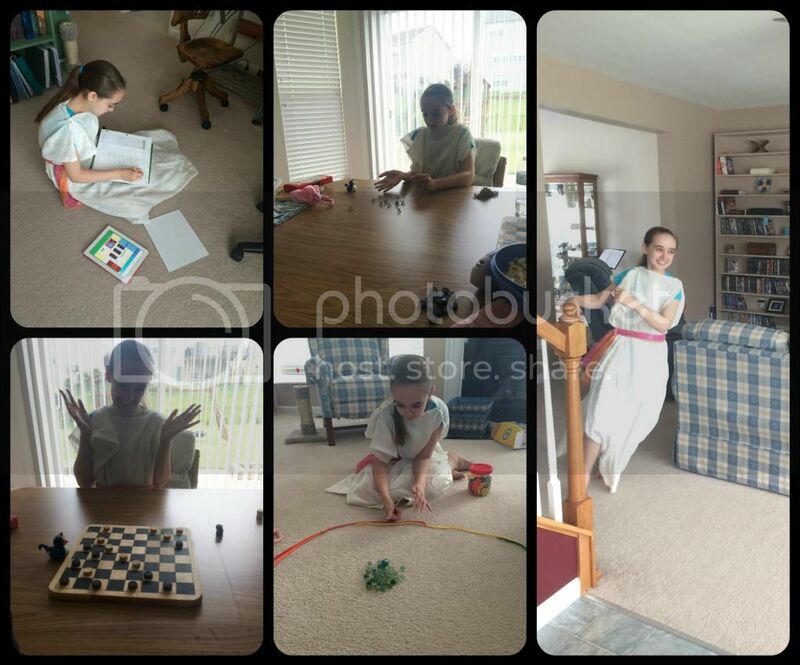 Recently Amber and I were discussing various features of homeschooling and we came upon the topic of projects. In the interest of furthering our project based learning days, I asked Amber to name her most memorable / favorite projects, experiments or alternate learning events. Amber had some immediate responses, but then had to think harder to even remember more projects. Clearly her favorites made an impression while others were enjoyable at the time but did not have a lasting effect. Lapbooking through the Periodic Table: This was Amber's first experience with a lapbook back in 5th grade, however it was also so much more. There were many chemistry experiments, small projects like molecule model building, and the expected lapbook elements. While Amber is not enamored with lapbooks now, this particular science unit was fantastic. It was also the first thing that immediately popped out of her mouth when posed the question of favorite projects. 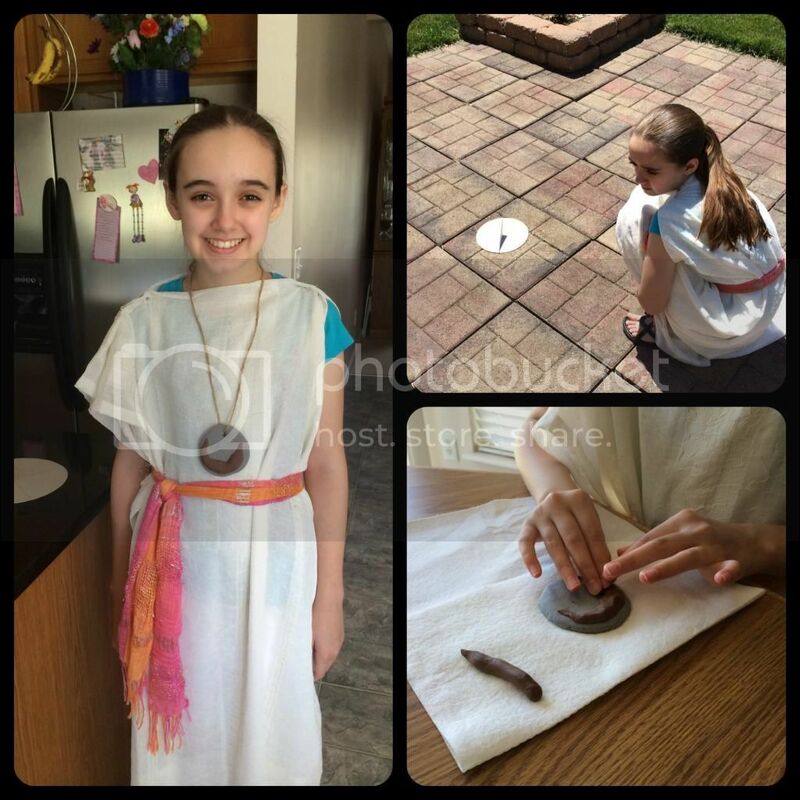 Roman Day (Part 1 and Part 2): After some rather trying days Amber was sorely in need of a break from book work in the Spring of 6th grade, so I pushed up our plans for a Roman day with about 12 hours notice. We created a stolla from old curtains and a scarf, played games like Roman children, learned Roman numerals and had a fun time. Part 2 was more thought out and contained the rest of my plans with projects I had been unable to pull together the first time. She loved both days and still talks about them. 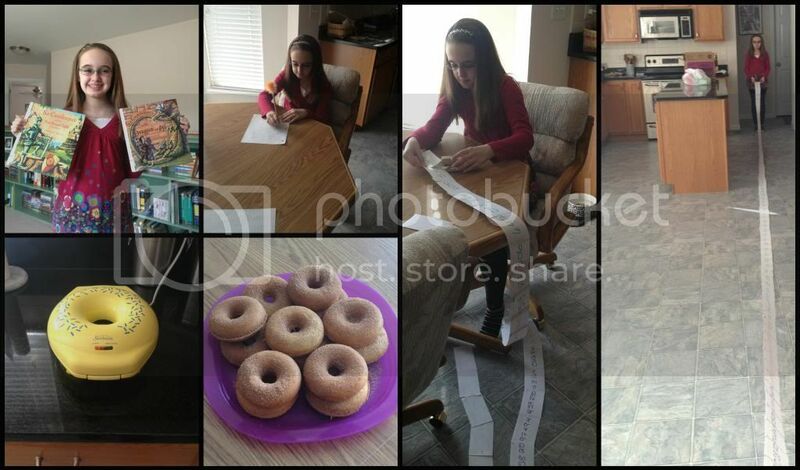 Pi Day: Amber had spent several years in parochial school seeing the eighth graders celebrate Pi day, so when we started homeschooling we decided that it would be fun for us to do this ourselves. Then I promptly missed it our first March (3.14) as homeschoolers. But that missed Pi day was less than two months after we abruptly began our homeschool adventure and I'm not sure I was ready for it anyway. By 5th grade I had my ducks all straightened out and was able to prepare a fun and educational day based on Pi. We read books about Sir Cumference, wrote Pi-kus, ate all things round, and made a note card chain with the numbers in Pi that spanned our entire kitchen. After such a success, of course I completed flaked out on Pi day for 6th grade. Calligraphy: This was a more recent 7th grade project that Amber completed with her dad. She loved the beauty of this writing, was enthralled with finally being able to write "old fashioned", and most importantly was elated to have a project with her dad. It meant more than she could express that he set aside time on several occasions to work with her on calligraphy. Eventually the calligraphy was worked into a history project, but the project wasn't the memorable part for Amber; it was learning calligraphy. 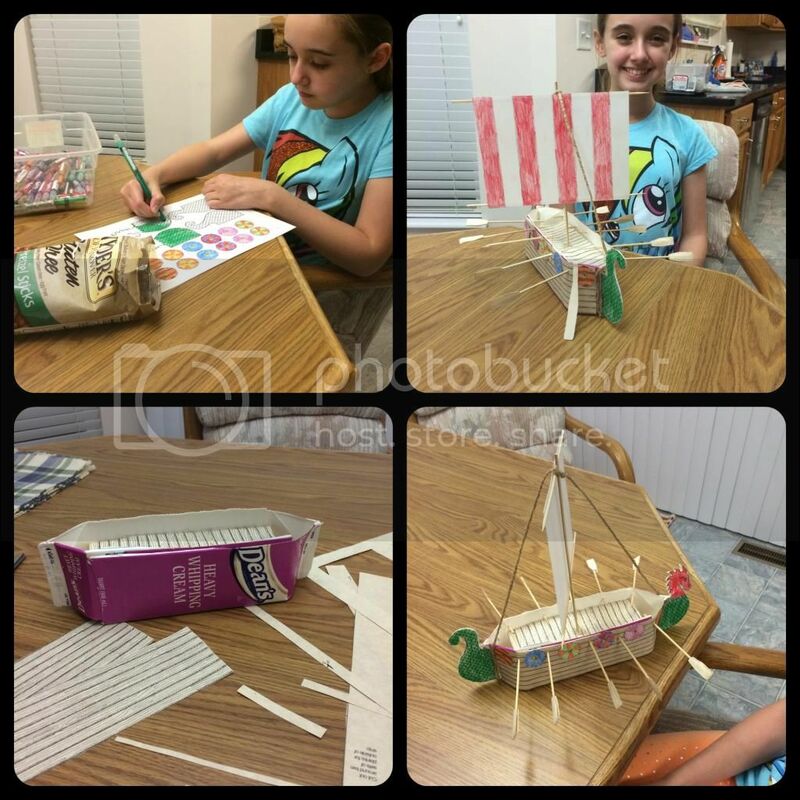 Viking long ship: Another 7th grade project from our Viking study. We worked on this project one evening as a family. Again, it wasn't necessarily the project content alone that made it so memorable, but that we all participated as a family while Amber told us, voluntarily, what she had been learning about the Vikings. As I thought over all the projects Amber listed, a common thread appeared: each included working with one or both of her parents on a learning project. 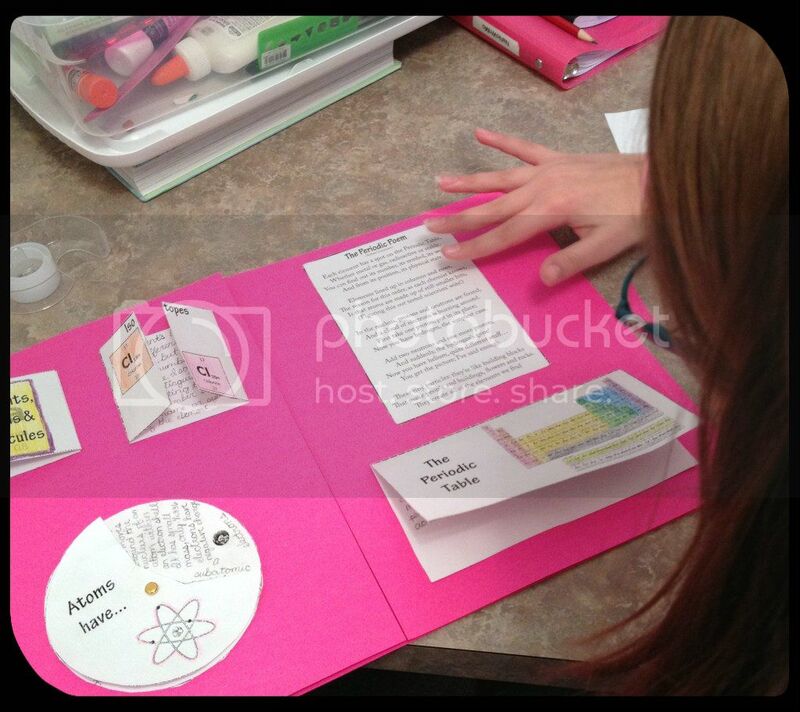 Even the periodic table project included experiments we did as a family or Amber and I did together. Through a simple list Amber has made clear what matters most to her and what makes truly memorable moments for her. And while every day can't be Pi day, we are definitely looking for more family learning opportunities. I loved following along on all of those projects. Pi day is right around the corner. It is right around the corner! But it's also a Saturday. I think I might skip it again this year in favor of a larger Pi day activity for 8th grade when it is back on a school day.